Permisi para Admin dan Para Momod serta anggota forum sekalian. Kali ini ane bikin trid baru karena trit yang lama sudah kebanyakan gambar dan lemot ketika di buka. Selain itu, ane juga baru mengikuti training art dan hasilnya memuaskan. 1. 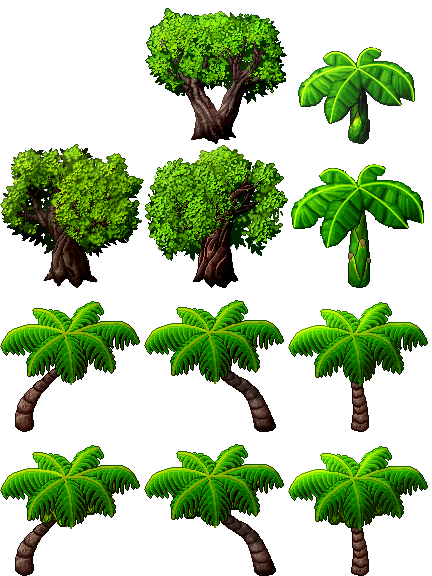 This trees are mean for RPG Maker MV, you may use any other engine if you can use them. 2. All of this trees were created by flakeheartnet from scratch so credit is required. 3. Free for Non Commercial use only, for commercial license, I haven't decide to release them yet. 4. You may not redistrubute this trees without writen permission from flakeheartnet or Alleryk. 5. Feel free to edit them but the ToS still applied.